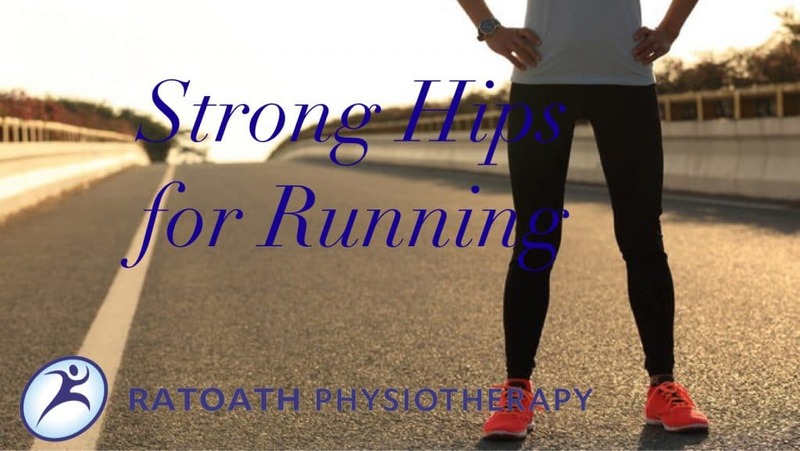 Hip or knee pain running? The stork exercise is a fantastic exercise for improving hip stability and strengthening the Glute Medius muscle. It is an exercise that is particularly useful as it mimics the single leg stance required for functional movements such as walking, ambulating on stairs, or running. The Glute Medius muscle is an important stabilizer of the pelvis in the coronal plane during the gait cycle and when it is weak it can lead to injuries such as IT band syndrome, medial knee pain, trochanteric bursitis, low back pain, Achilles tendinopathy, shin splints, and plantar fascititis. (Ireland et al. 2003, Robinson et al. 2007, Cichonowski et al. 2007). To perform this exercise first start with your feet about hip-width apart. If you are looking to target the right glute medius muscle then stand with the left side closest to the wall and vice versa for the opposite. Elevate and push the knee closest to the wall against the wall ensuring your hip is NOT touching the wall. Try to AVOID leaning over towards your stance limb, this is tricky because at the same time you want to AVOID allowing your shoulder to touch the wall. Your trunk should remain in the neutral position you would be in if you were to stand. Although you are also strengthening the leg that is pushing up against the wall, the stance limb is the one that should fatigue first! The further you walk out your stance leg the more difficult this exercise will get. Once you have managed the static stork exercise you can make it more dynamic using a towel or a stability ball between the elevated knee and the wall and performing a running style action as shown in the video. Ensure you hinge through the stance hip with a slight bend in the knee being careful it does not pass over the toes or drop inwards towards the wall. Then drive through the stance heel contracting the glutes and straightening the knee as you return to the starting position. This is a terrific exercise to incorporate as a glute activation exercise prior to getting into dynamic exercises such as running or any jumping type activities. 2-3 sets of 30-40 second holds should suffice.